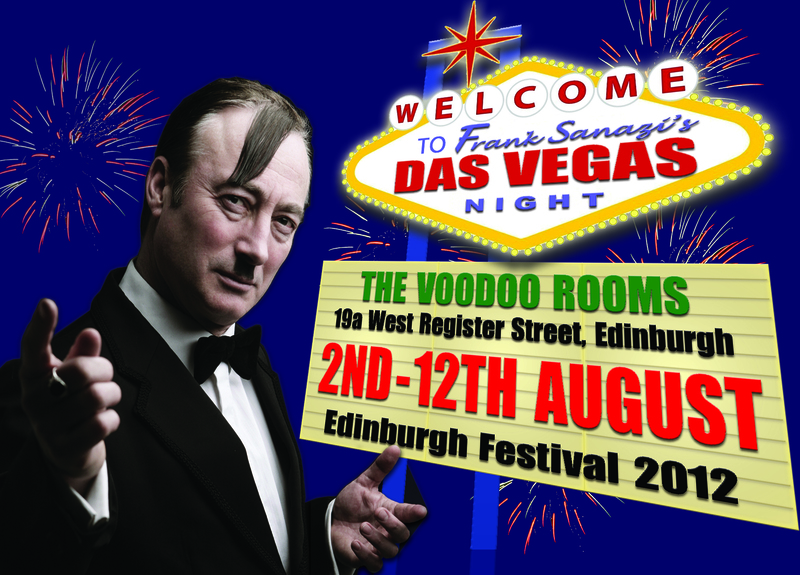 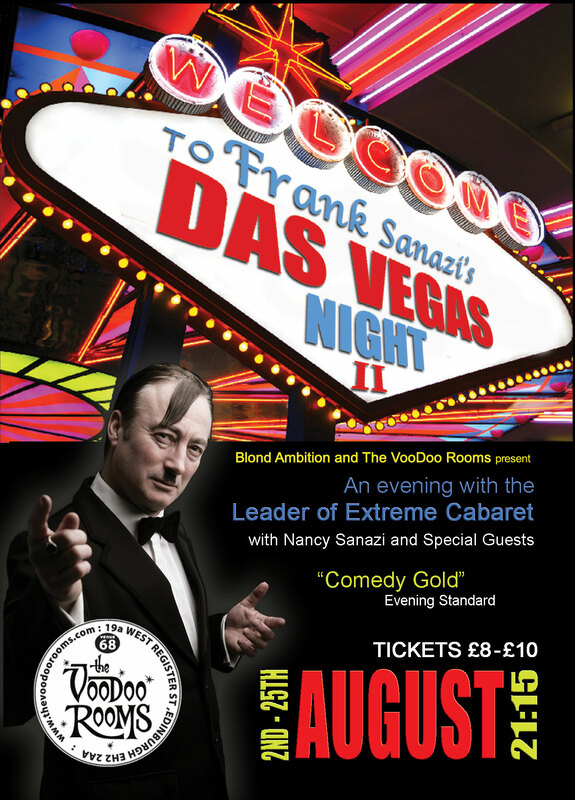 Frank Sanazi’s Das Vegas Night 4: Zis Time it’s War! 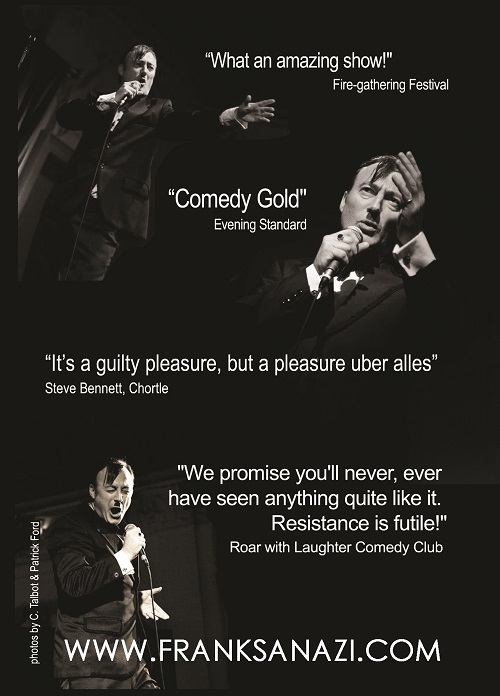 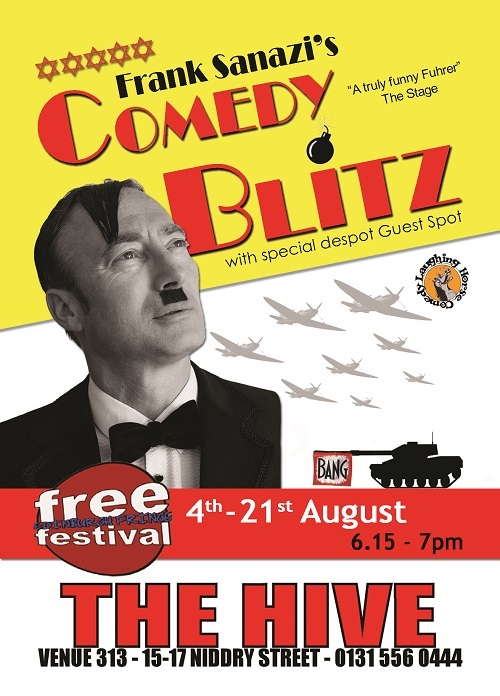 I was asked by the client to produce a catchy flyer to entice people to his comedy-character show at the Edinburgh Festival. 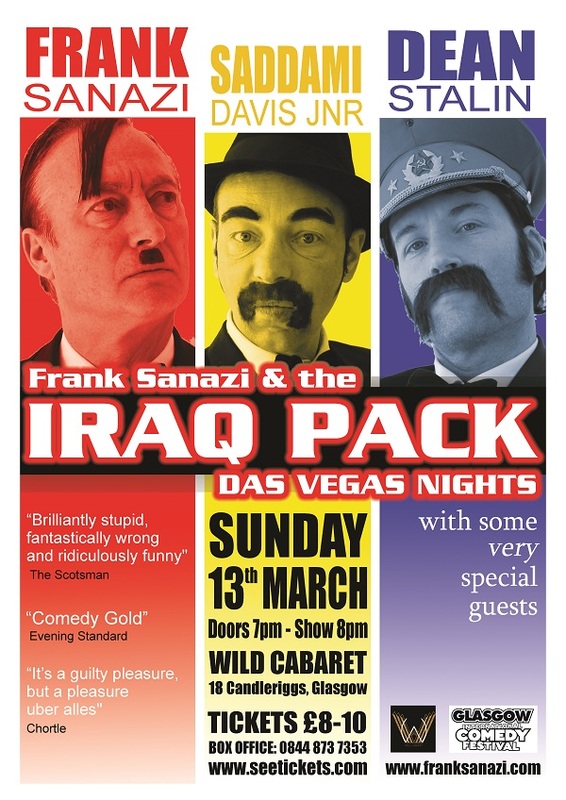 The design was also used as the poster. 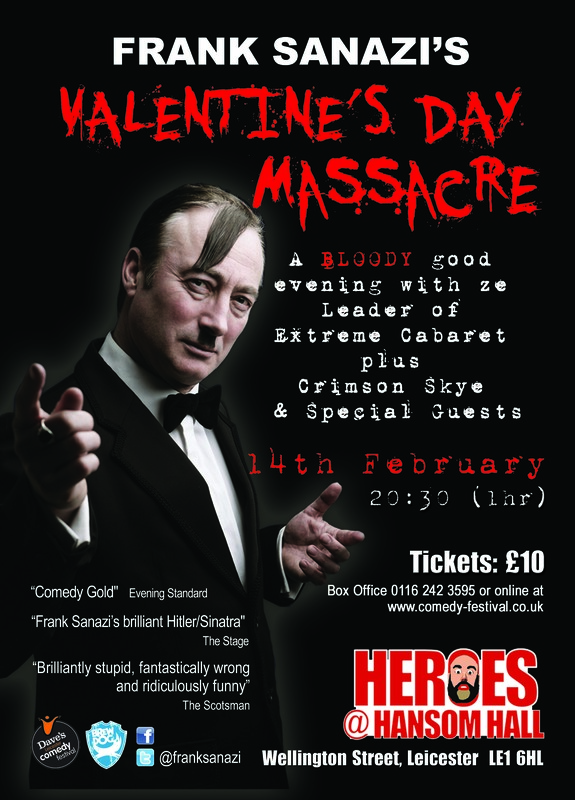 I arranged the printing of the flyers & posters, as well as delivery direct to the venue.